Home / Encaustic Techniques / 3D Encaustic Sculpture Techniques | Dare to move off the panel! 3D Encaustic Sculpture Techniques | Dare to move off the panel! Posted on June 24, 2017 Author Helen Dannelly	10 Comments on 3D Encaustic Sculpture Techniques | Dare to move off the panel! 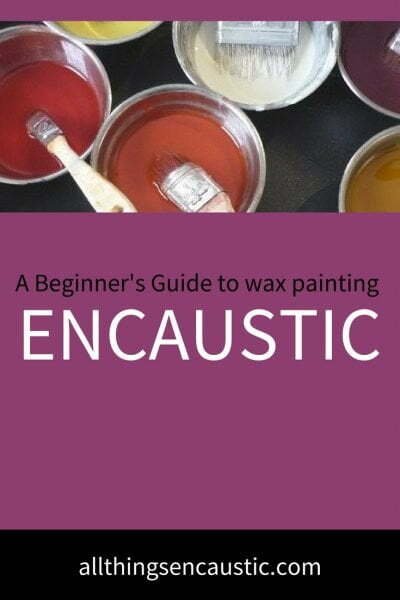 After painting realistically for 30 years and doing sculpture for ten years, I began working with encaustic. Like many others working with this medium, I was attracted to its translucency, luscious sheen and tactility. But I probably most appreciate the versatility of the medium, as one can use painting, collage, printmaking and sculptural techniques with it. Three-dimensional encaustic sculptures can be formed using encaustic medium with wire, wire mesh, bamboo, plaster gauze, paper, natural fibers and more. I took a 3-D Encaustic workshop at Truro Center for the Arts at Castle Hill on Cape Cod about 6 years ago with Miles Conrad, an accomplished professional artist and owner of Conrad Wilde Gallery in Tucson, AZ. I respect and admire him as an artist and I love his work. It was wonderful to learn from him. After returning home, during one moment of exploration, I repeatedly dipped shaped paper into encaustic medium, built up the thickness of the surface, and adhered components together to make a larger sculpture. My Cluster series was born. I’ve since use fabric and other fibers to create three-dimensional forms that resemble works in nature, but are unique abstractions. As with Earth Pod below, I have also cast encaustic into molds that I made from my sculptures. When I lived in the San Francisco Bay Area, I taught 3-D Encaustic out of my Oakland studio. 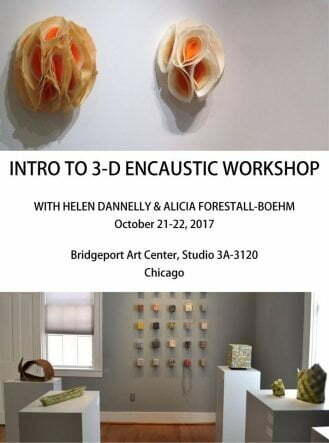 Now that I am based in Chicago, I will teach this workshop again and have asked Chicago artist Alicia Forestall-Boehm to co-teach with me. Participants will learn basic structural techniques for creating three-dimensional forms both on and off the panel incorporating encaustic medium. Materials include wire and wire mesh, bamboo, plaster gauze, and fiber. We will discuss scale and display options. There will be a powerpoint presentation of artists working three dimensionally with encaustic and a discussion of each students’ unique creative voice. The first day we will create skeletal structures out of wire, wire mesh and plaster gauze with the option of using modeling paste. As these dry, we will use natural fibers and other materials with encaustic medium to create forms. Day two will be an opportunity to finish the structural forms that were created as well as studio time to explore the variety of materials provided. We will discuss display options and hanging devices. Dare to move off the panel! 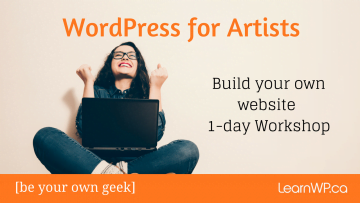 I hope that our art and this post inspires you, even if you aren’t able to attend the workshop, to explore 3-D encaustic sculpture. Helen Dannelly studied painting at San Francisco State University with Bay Area Photorealists Robert Bechtle and Richard McLean. She studied sculpture, including metal arts and bronze casting at the University of Minnesota, and at Diablo Valley College in the San Francisco Bay Area. In 2009, she began working in encaustic which she enjoys because of its versatility. An award-winning sculptor, Dannelly has exhibited at Slate Contemporary in Oakland, CA, Conrad Wilde Gallery in Tucson, Adam Peck Gallery in Provincetown, MA, and in juried and invitational exhibitions nationally. Thanks Doug for mentioning. That’s one of my favorite pieces….! Thanks so much Helen for submitting this post! It is a great addition to the blog. You’ve inspired me. I’m starting to see where my art can go with three dimensions! You’re quite welcome, Ruth. Thanks for inviting me! Alicia Forestall-Boehm and I look forward to sharing what we know in the upcoming 3-D Encaustic Workshop we are going to teach at my Chicago studio on October 21 – 22! Folks are already starting to register and space is limited, so if artists are interested, the can contact me now to reserve a spot! Hi I was wondering if you will teach this class on line. I live in Southern Illinois and would love to take the class. I really need to see your work in person, it’s is so beautiful! Combining your talent with Alicia’s is going to make for one powerful workshop-WOW! Thanks for posting! Thank you so much Lisa! Where are you located? I have been a working mixed media artist for 35 years, working with encaustic 3-2D since 2002- For working in 2/3D form “it’s a lot of time and special sauce techniques”, “know your material & surfaces”. Thanks for commenting Shannon. Wow your work is inspiring!